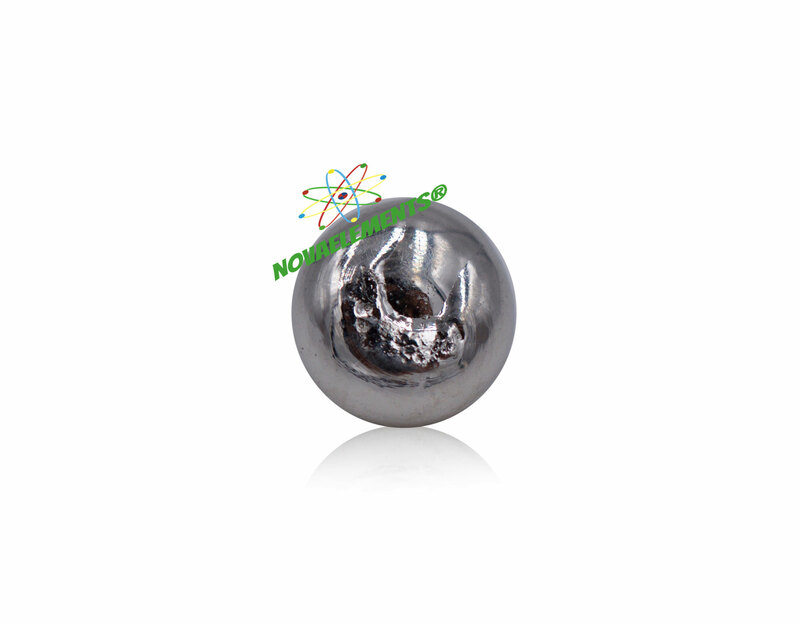 Platinum is a heavy, soft, silvery metal, which is extremely persistent against corrosion and tarnishing. Furthermore, it is very rare and expensive, which makes it a treasured jewelry metal. The industry has a high platinum demand, notably for catalysts the metal has outstanding properties. At a catalysis, the platinum isn't consumed and can be recycled. High purity Platinum metal 99,99% 1 cm wire, sample of the element 78 Pt in glass vial with label. Pure platinum sample. High purity Platinum metal 99,99% 4N pellet 0.5 gram sample of the element 78 in glass vial with label. Pure platinum sample.